New Jersey has some of the toughest drunk driving laws in the country. That’s why it is imperative that anyone who has been accused of Driving While Intoxicated (DWI) or Driving Under the Influence (DUI) understand their rights and have a qualified DWI defense attorney on their side. Horizontal Gaze Nystagmus (HGN) test: This test is more commonly known as the “pen test” because the officer will hold up a pen light and ask you to follow the light with your eyes as it is moved around. If you are unable to track the light with your eyes, the police officer may have probable cause to suspect you of having committed a DWI offense. 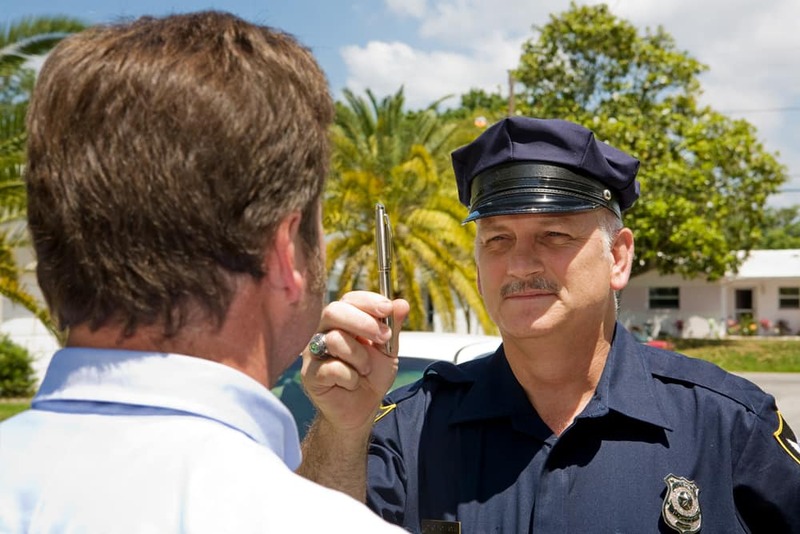 The officer can then investigate further, which may include asking you to take other field sobriety tests or submitting to a Breathalyzer test. Walk-and-Turn test: The Walk-and-Turn test typically involves the DWI suspect being asked to walk along a straight line and then turn around to walk along the line in the opposite direction. While you are performing this sobriety test, the police officer will probably be paying close attention to how reliant you are on your arms in order to maintain balance. One-Leg-Stand test: If the police officer asks you to take the One-Leg-Stand test, and you agree to do so, you will probably be required to stand with one leg off the ground while counting numbers out loud. Your ability to maintain balance while counting will determine whether the officer arrests you for a DWI. Keep in mind that none of these field sobriety tests are perfect and they all have flaws that could lead to false positives. For example, windy conditions or inclement weather could easily cause the person being tested to lose their balance, particularly if they are asked to stand on one leg. It is also possible that the person taking the sobriety test suffers from a medical condition that causes them to fail the test. It is almost always a bad idea to refuse to take the breathalyzer test. The penalties for refusing to take the test can sometimes be worse than the penalties for driving under the influence and are never less than the penalties for driving under the influence. In addition, a person refusing to take the breathalyzer test can still be convicted of a DWI/DUI based on lack of coordination, slurred speech and other signs of intoxication. You do have the right to refuse to take field sobriety tests. When a police officer has probable cause to believe that you are intoxicated, they may ask you to take field sobriety tests. However, you are not required to do so and there is no charge for refusing a field sobriety test. Even though you can refuse to take field sobriety tests when you are first pulled over, you do not have a right to refuse to take the breathalyzer test once you are taken inside the police station. Refusing to take the breathalyzer test at the police station all but guarantees you will lose your license for a minimum of seven months (if this is your first offense) and you will be assessed thousands of dollars in fines and surcharges. If you were charged with a DWI offense in New Jersey, you need to speak with a qualified DWI defense attorney immediately. The experience DWI and DUI lawyers at Team Law can help you fight your charges. Contact us today to schedule a free consultation about your case.